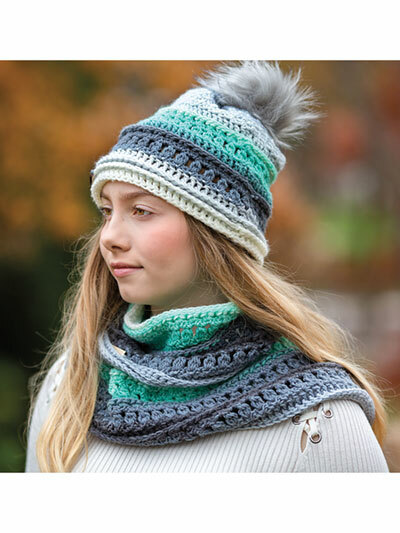 Be on point with style and trends with this matching hat and infinity scarf! This pattern introduces the new staggered pebbles stitch. This gorgeous new stitch is a quick stitch to work and one that lends itself beautifully to striping yarns as well as solid colors. The design is made using 1 skein of Lion Brand Mandala DK-weight yarn. Size: One size to fit preteen (10 yrs--adult 4XL).